You can’t describe what it means to be a Juggalo; it’s beyond comprehension and reasoning. 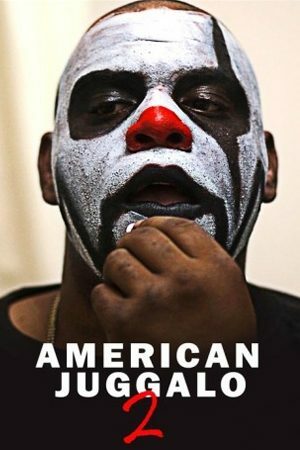 This short film is a sequel to Sean Dunne’s popular first project (watch the first American Juggalo here) where he brought to light the subculture of the Juggalos. This time he focuses on one man— Alexander “Less Legs” Perkins— and the difficulties he has had to overcome after losing his legs in a train accident when he was only eight years old. Perkins, who was 31 at the time of the filming, speaks from his heart about the boredom he feels at not having to worry about paying his bills and the unfairness of being misunderstood and judged. Tragedy tends to open our eyes in a way that we start seeing the world from a different perspective and Perkins has had firsthand experience with this. In his particular case, when he was still too young, he was forced to learn how to deal with loss, particularly never being able to run or walk again. Ironically, Perkins admits that if he had legs he would be a very rotten person and would probably be in jail. He firmly believes that being in a wheelchair is somewhat of a blessing and it made him a better person. Perkins claims that his heart is filled with nothing but love for everything and everyone. As he yells whoop whoop! raps, and paints his face like a clown, Perkins experiences total acceptance in this group of what some might call social misfits. Together with his friends, he makes his way to Thornville, Ohio to take part in the 17th Annual Gathering of the Juggalos. The retreat usually lasts four days and many of those who attend paint their faces and indulge in drugs and alcohol while there. They also attend concerts of Insane Clown Posse. The Juggalos had previously been described as a criminal street gang. Dunne’s film helped change that image as it presented these men and women as harmless outcasts who live without judgment and who come together for what could pass for a family reunion. Watch this documentary now.